Why did I get a Brompton? Definitely not because I need another folding bike, as I already have so many other bikes of various designs and purposes. The main reason for me getting a Brompton is to be able to mount a Bobike mini child seat, so that I can bring my kid along for a ride. 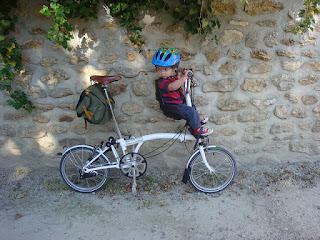 When he outgrows the Bobike child seat, I can then install a Pere child seat onto the same Brompton. 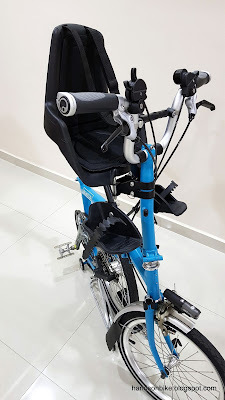 After making various modifications to the Brompton to make it more comfortable to ride, easier to fold and roll, it is finally time to install the Bobike mini child seat. 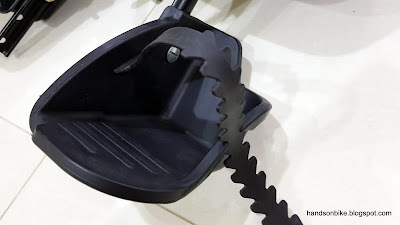 I know that this child seat can be installed on other types of bikes, but since most of my bikes are equipped with a drop bar, they are not suitable for mounting a child seat. It is better to have a dedicated bike for cycling with the kid as the saddle needs to be set at a lower height, which is not suitable when I ride myself. 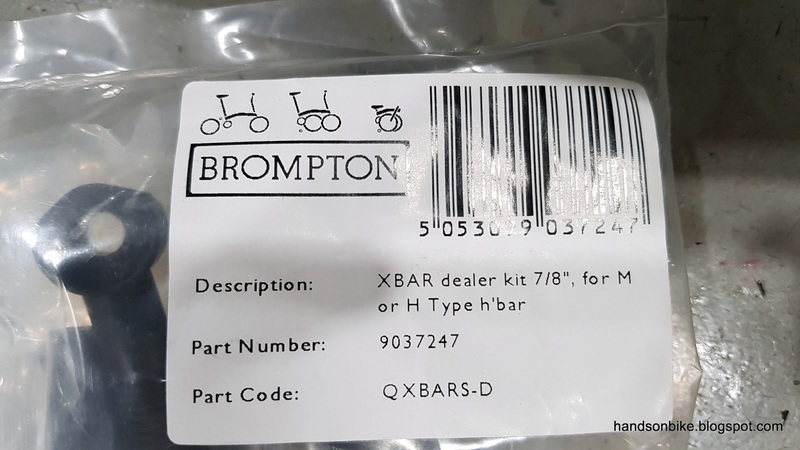 For installation of a Bobike mini to the Brompton, an adapter called the Bryan Adapter will need to be used. This will be shown later on. 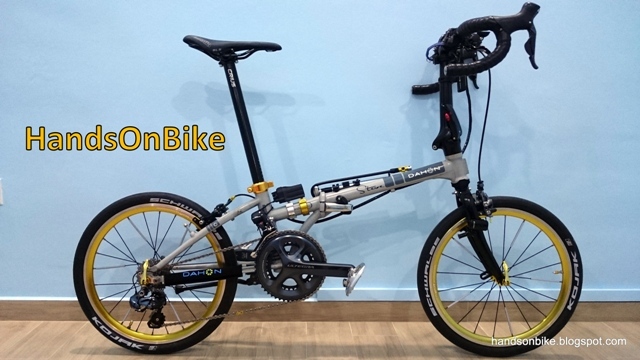 Before that, let's take a look at how the Bobike mini child seat will position the kid on the Brompton. How it looks when mounted on the Brompton. I got the child seat plus Bryan adapter at a really good price on the second hand market. An example of how the kid will look when seated on the Bobike mini that is mounted on the Brompton. 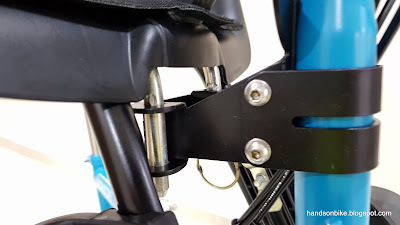 One advantage of mounting the Bobike mini on the Brompton is that the child seat can be mounted further in front and lower than on a normal bike. 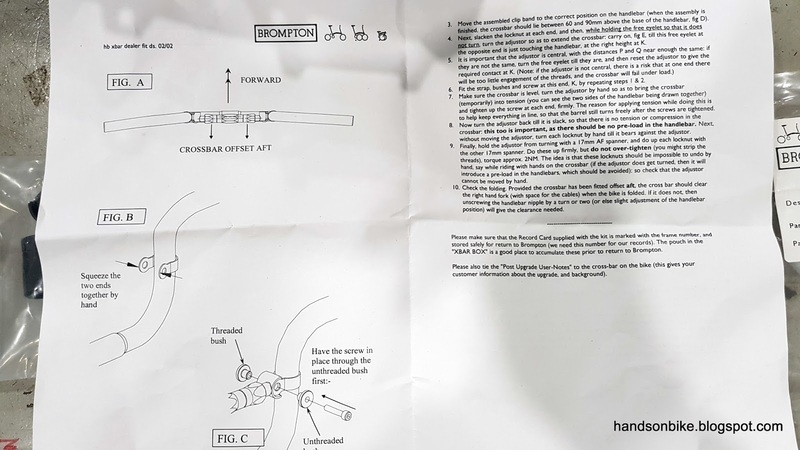 This is because the Brompton does not have a top tube that will affect the placement of the child seat. 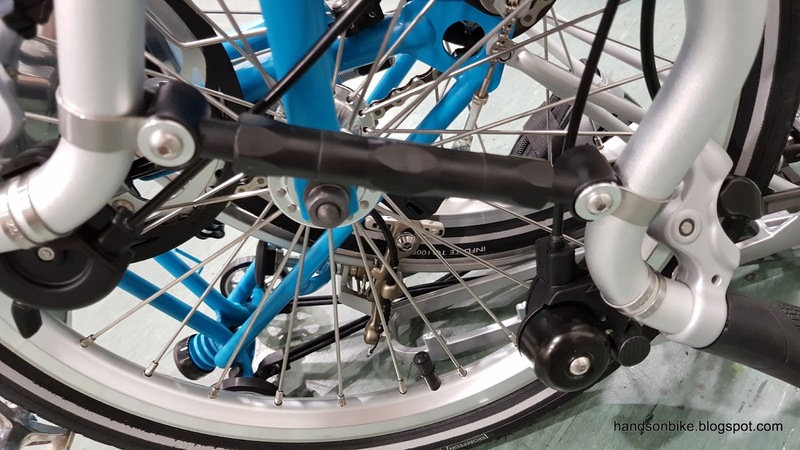 Not only is this more stable due to the lower centre of gravity, it also allows the adult rider to pedal more efficiently as the knees do not have to open so widely during pedaling. 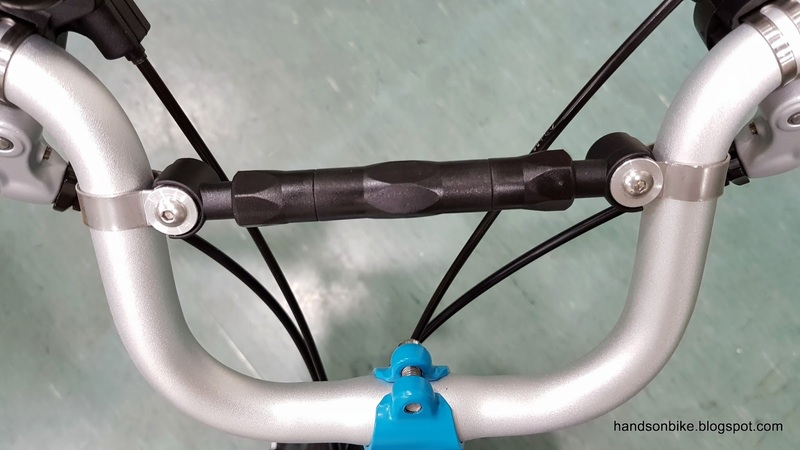 As you may have noticed in the pictures above, there is a cross bar that links the two sides of the M handlebar together. This gives the child an alternative place to hold, and also stiffens up the handlebar for more rigid steering, which is an advantage when trying to steer with a load on the front. Note that the Bobike mini child seat is not suitable for S type flat handlebar, as the child will block the adult rider from accessing the handlebar. 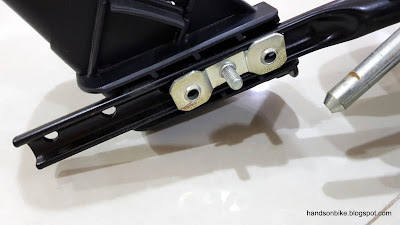 As for P type handlebar, I think it can still be mounted but you will not be able to install the cross bar. 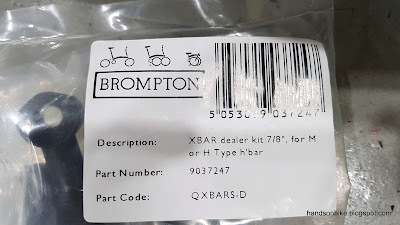 Cross bar by Brompton, not necessarily a part of the Bobike mini child seat package. Good to have but not essential. 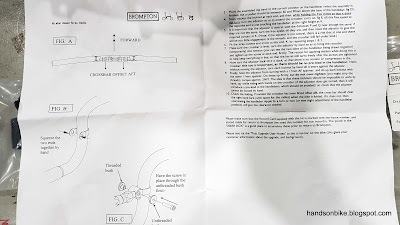 Parts of the cross bar. Note that the cross bar is made of plastic and not metal. All ready to be installed! I wonder if there is a simpler design for a cross bar, this seems too complicated. After a bit of difficulty, the cross bar has been installed. 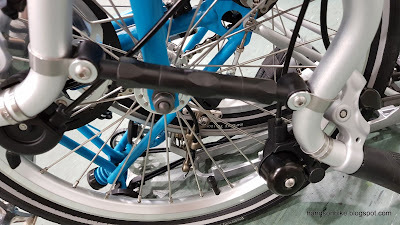 No interference issue with the front hub axle if you have managed to set the position of the cross bar properly. 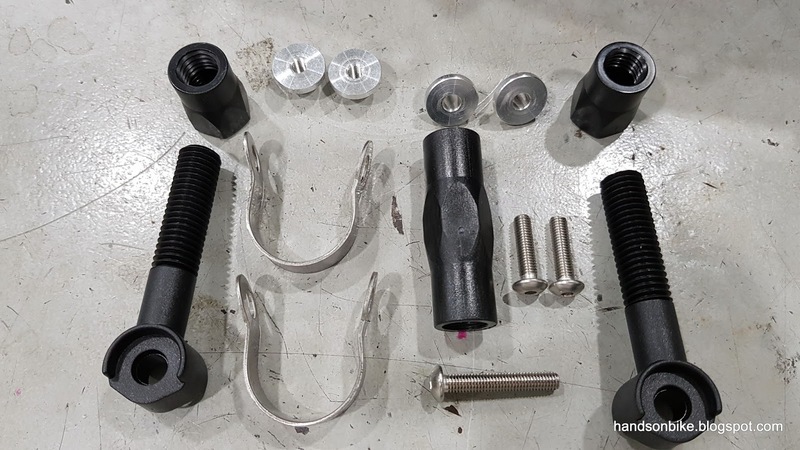 With the cross bar done, the next step is to install the Bryan adapter, before the Bobike mini child seat can be mounted. 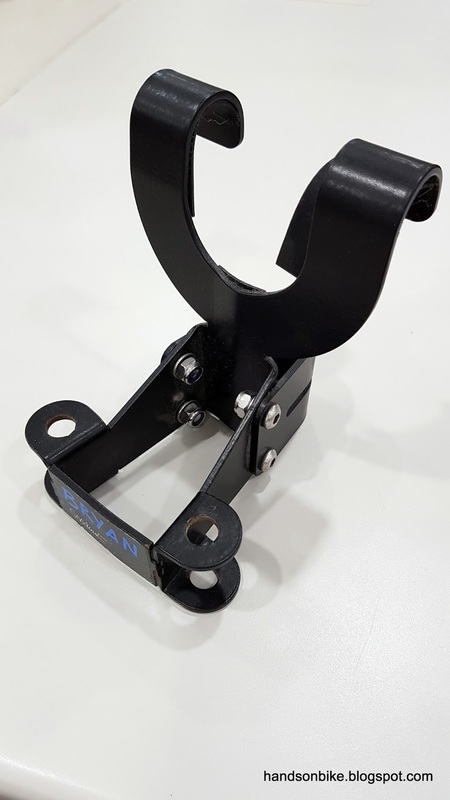 Although there are other clamps that can be used to mount the child seat, this design is the best, as I will explain in a while. 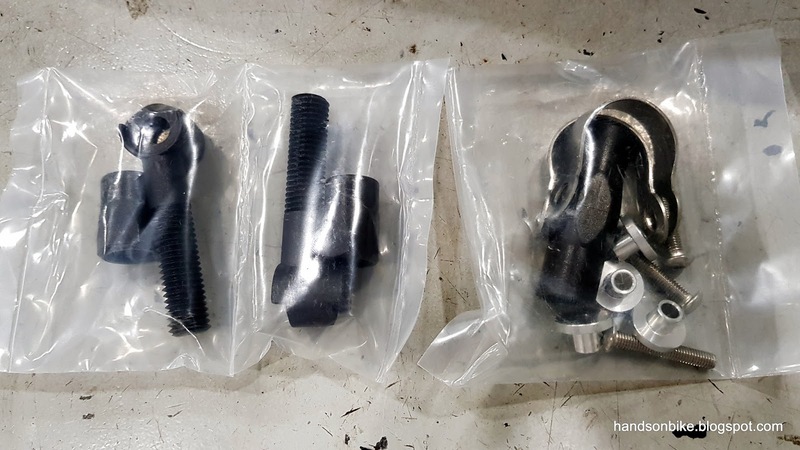 Bryan adapter, used to mount Bobike mini child seat on a Brompton. The various bolts, nuts and rubber shims on the Bryan adapter. 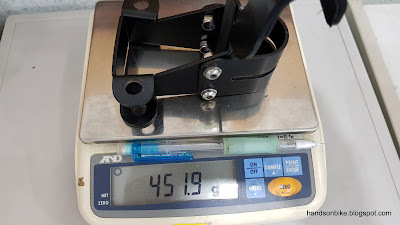 This adapter that is made out of sheet steel is heavy at 452 grams. But when you are adding a child of 10kg onto the bike, this does not matter. 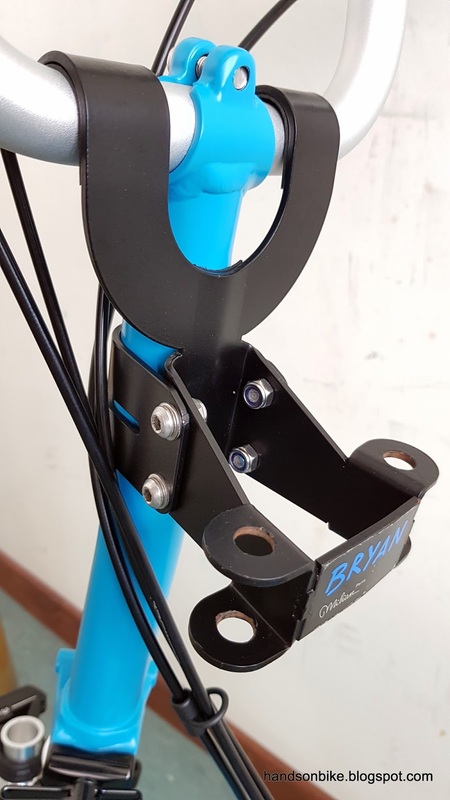 The design of this Bryan adapter is superior to other types that just clamp onto the handlepost, as it is much more stable. 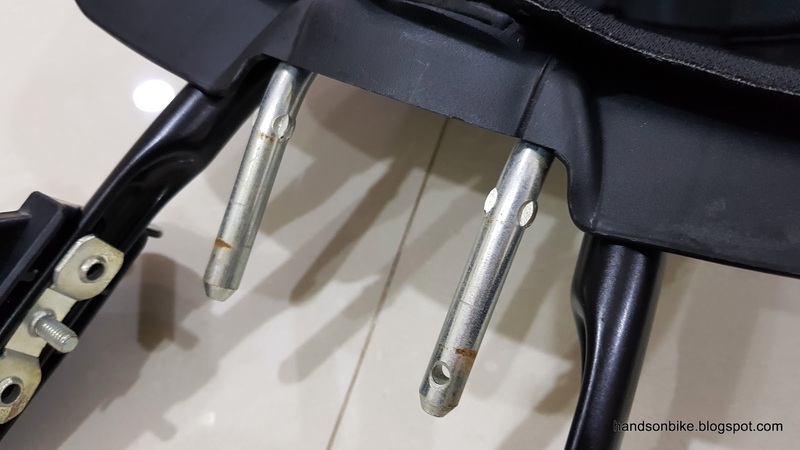 With the two hooks on top, it prevents the adapter from slipping downwards under load. 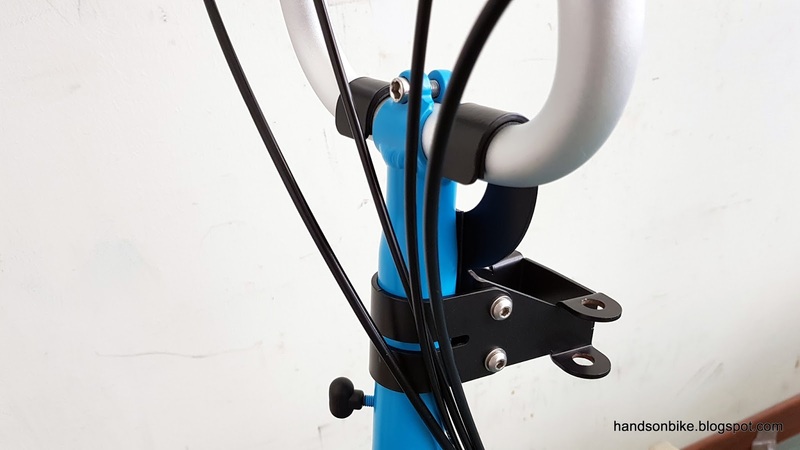 Also, the two hooks prevent the whole adapter from rotating around the handlepost. A very robust design which I like. The adapter sticks out from the side of the bike when folded, which is a downside. 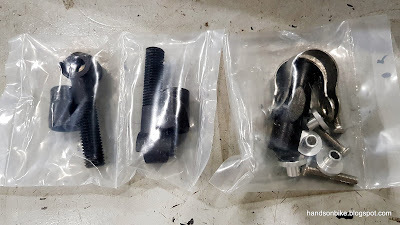 This adapter can be left on the bike permanently, as the Bobike mini just slots into the adapter without any tools. However, when folded, the adapter sticks out quite a bit which can be annoying. 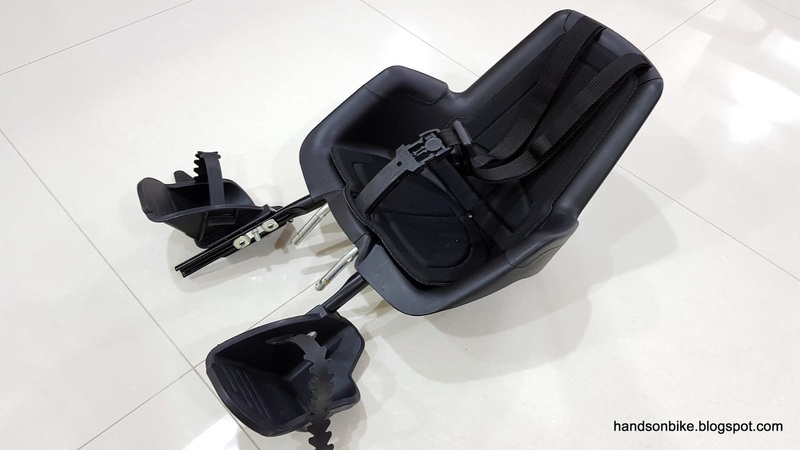 At least the child seat can be removed easily when you are not using it, and it does not affect normal pedaling. 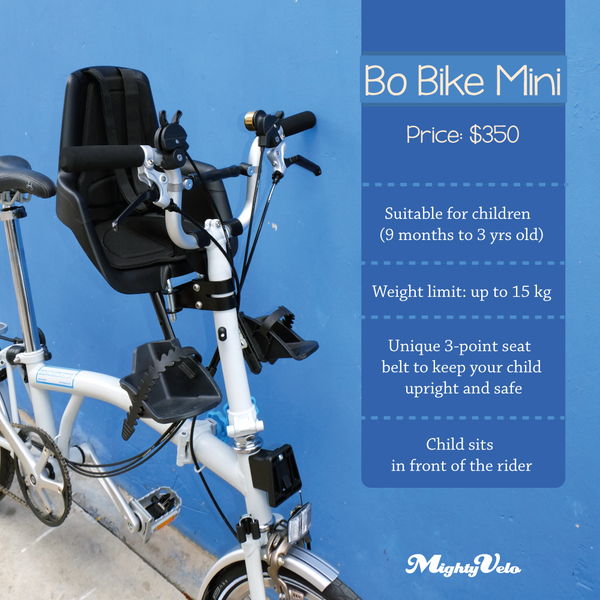 Now, let's take a look at the Bobike mini child seat! The Bobike Mini child seat. Still in good condition for a second hand product. 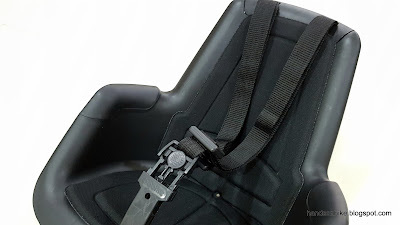 The safety belt goes over both shoulders and clips in between the legs. The clip has a safety feature that requires two hands to open. Foot rests, and straps to prevent the legs from swinging around. The height of the foot rests can be adjusted by moving the fixing bolt. This is more troublesome but also stronger and more secure. 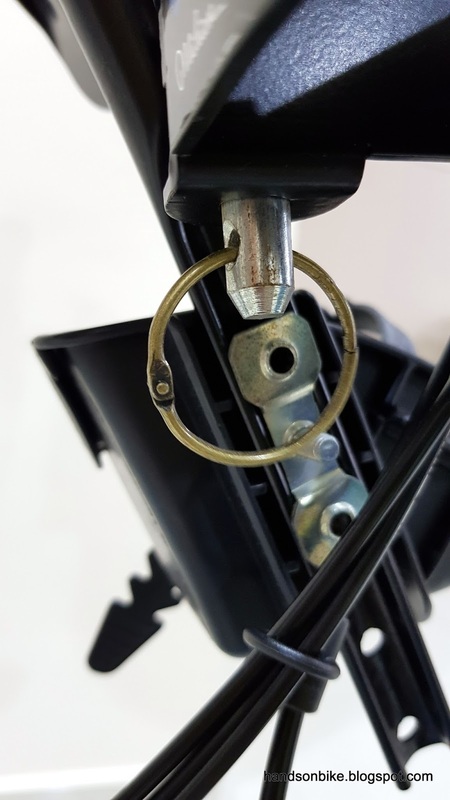 For additional safety, I added a ring at the end of the rod to prevent the seat from being lifted off the adapter accidentally, although it is difficult and very unlikely to happen. Final view of the Bobike Mini child seat installed on the Bryan adapter, on the Brompton! This child seat is located quite high on the handlepost, which is not so good for stability as the centre of gravity is higher. However, this also prevents the adult's knees from hitting the back of the child seat during pedaling, as there is more clearance. For me, I only have to widen my knees slightly for sufficient clearance during pedaling. However, since I usually step forward, over the top tube when I come to a stop, this child seat prevents me from doing that. The solution is to lower my saddle for riding, so that when I stop, I can just put my feet down at the sides and touch the ground. Not ideal for pedaling efficiency, but necessary for safety. 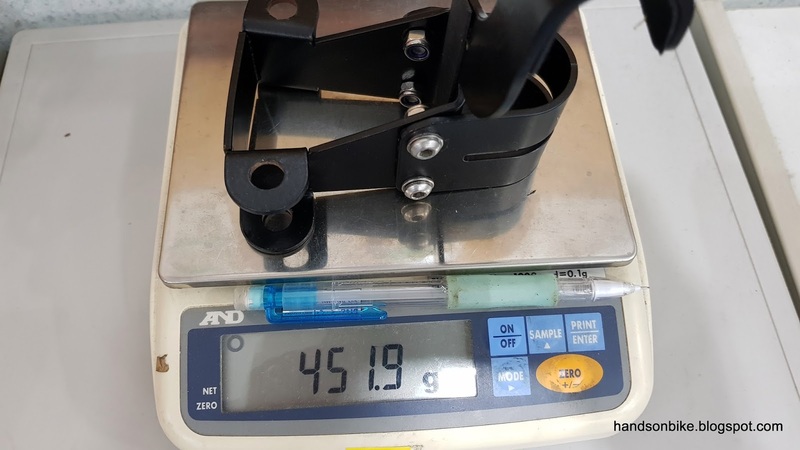 With the additional weight on the front, the bike is actually quite stable, since the weight balance over the front and rear wheels are now more balanced. However, steering is also heavier due to the extra mass over the front wheel. It takes some getting used to, and strains the arms more than usual. 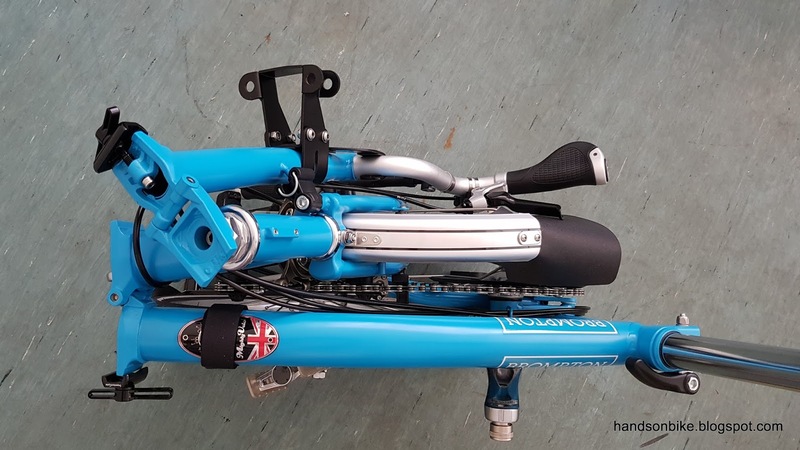 Perhaps there are better solutions for bicycle child seats out there, but I think it is hard to beat this combination for compactness, as the child seat can be removed easily, while the Brompton can be folded down to a small size. Together, they will fit in a car boot easily. Going to give this a go. Thanks for the very informative article! 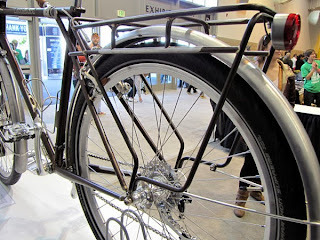 > As for P type handlebar, I think it can still be mounted but you will not be able to install the cross bar. Hello, thank you for the great article. May I ask where you found the Bryan adapter? Hello, thank you for nice review. 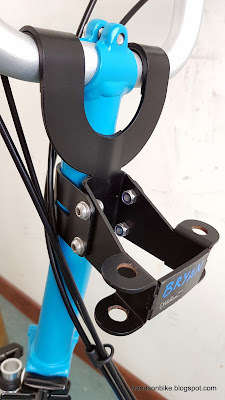 I have Bobike mini and I can fit it on the highest part of the handlepost which is narrower. The problem is insufficient space for child´s legs. 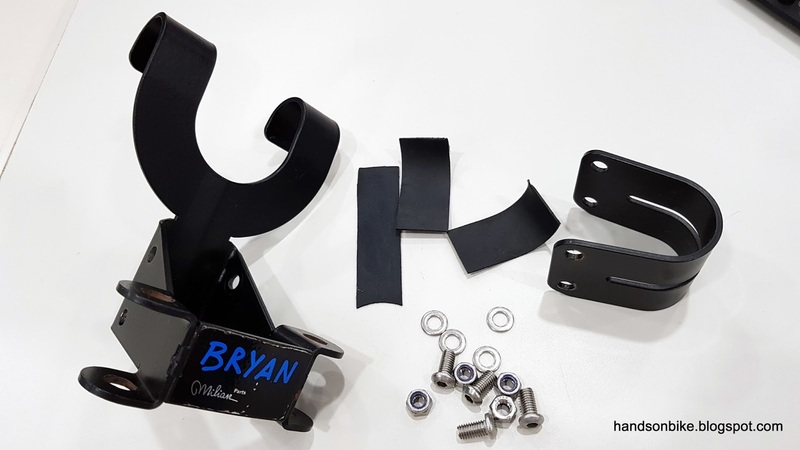 This problem can be solved by Bryan Adapter. The second problem is that child postion is not horizontal or slighty backward. The seat has forward slope. 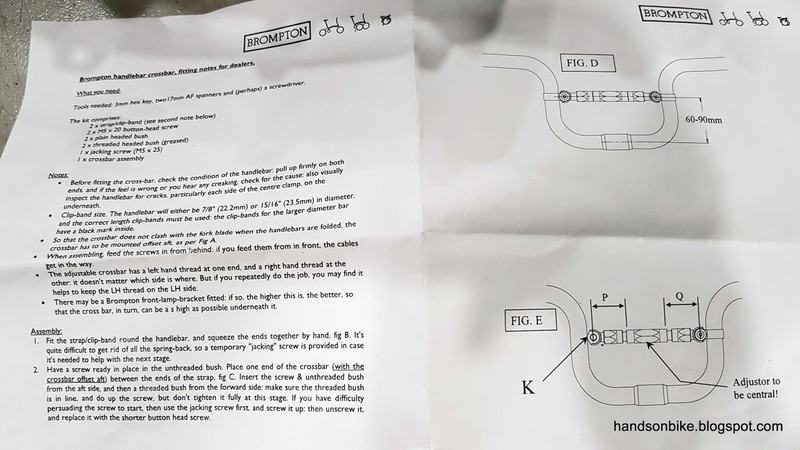 Could you send me information how about seat postion with Bryan Adapter? Is it realy horizontal? With the Bryan Adapter, the seat position is just right, roughly horizontal. It was designed to match the Bobike child seat to the Brompton so these details have been taken care of.